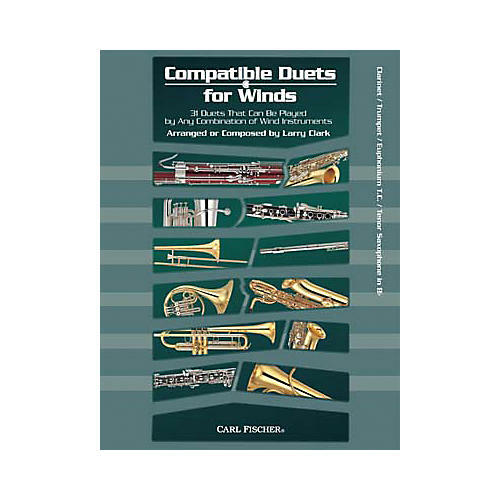 The duets within these books come in a variety of styles (classical, folk music, new original pieces) that can be played with any combination of two wind instruments. Students can develop their chamber ensemble skills while playing with their friends. No matter what instruments they play, flute and alto saxophone, horn and oboe, even tuba and flute - all combinations can play these duets together. Ranging from grade levels 2-3, Compatible Duets for Winds is perfect for band directors to buy for use in the classroom, and its flexibility makes it a must-have for any developing wind player.